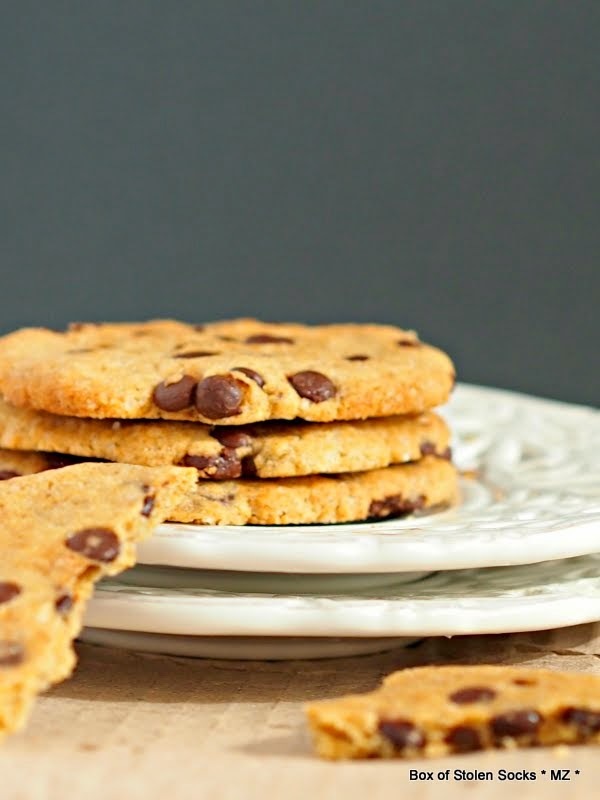 It's time for another gluten free cookie recipe from The Ultimate Gluten Free Cookie Book. If you've been following along, you know that I'm in the middle of a series of posts, baking and photographing my way through all 125 gluten free cookie recipes from Robyn Ryberg's "The Ultimate Gluten-Free Cookie Book ". You can find the recipes for all the cookies I've baked so far here and why not, subscribe via email to receive regular updates and don't miss a recipe. This one is another chocolate chip cookie. If you ask me, one can never have enough recipes for chocolate chip cookies. 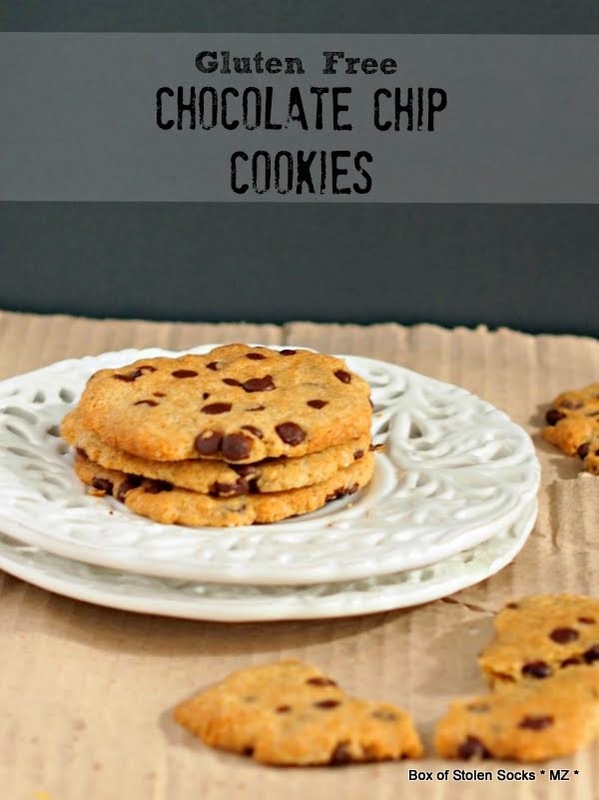 I have a whole Pinterest board dedicated to the deliciousness of chocolate chip cookies. It has everything. From double and triple chocolate chips, to filled with creamy butterscotch and dreamy nutella. And now I am going to add another one! 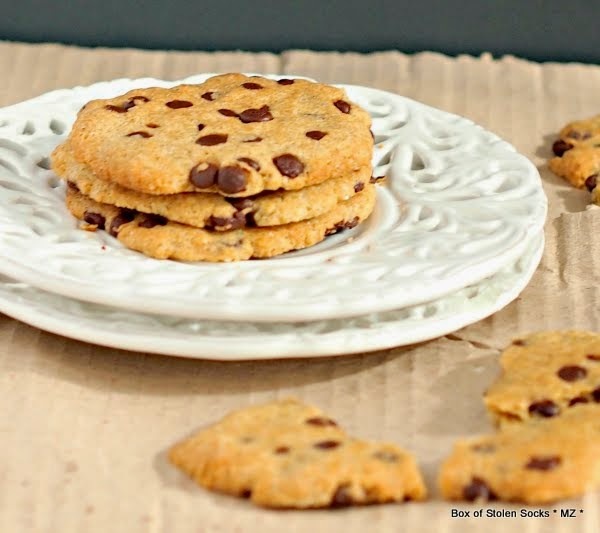 This gluten free version of a classic chocolate chip cookie is made with sorghum flour and butter. Now, if you are new to gluten free baking you might have never used sorghum flour before and that is OK. Sorghum is one of the "lesser" known gluten free flours in Europe even though it has been used in Africa and Asia for centuries. In India it is known as Jowar and is most commonly used to make a thin unleavened bread/pancake called roti that can be served plain or with chopped onions, spices and herbs. In Africa, sorghum is a staple food for millions of people living in the vast arid planes in the north and central part of the continent. It is very resilient and can survive in harsh environments where other grains do not grow well. Even though we say that sorghum is a grain, it is actually a type of grass like the grass that grows in parks and uncultivated fields. This bright green plant has tall stalks with grains at the end that look like wheat but this is as far as its resemblance to wheat goes because sorghum is gluten free and its kernels are always ground whole giving a flour that is high in fibre, rich in protein, B vitamins and fat. They were so different from the ones I posted two weeks ago! Those had a light, subtle quality. You took a bite and the first thing that crossed your mind was to cuddle with a cup of hot milk, a blanket and a book for the rest of the day. These ones here are different. There is more punch to them that meets the eye. The taste is rich, forceful and buttery. Yes there is butter in them, nevertheless, I think, it is its combination with whole grain sorghum flour that makes their union bring out so remarkably well the rustic feel and taste of these cookies. It is strange, but after making and tasting both recipes, I think I have experienced the yin and yang of the chocolate chip cookie world! Like all the other cookies I've baked so far from this book, these also follow the same method: Mix the fat with the sugar before adding flour and mixing again very, very well. 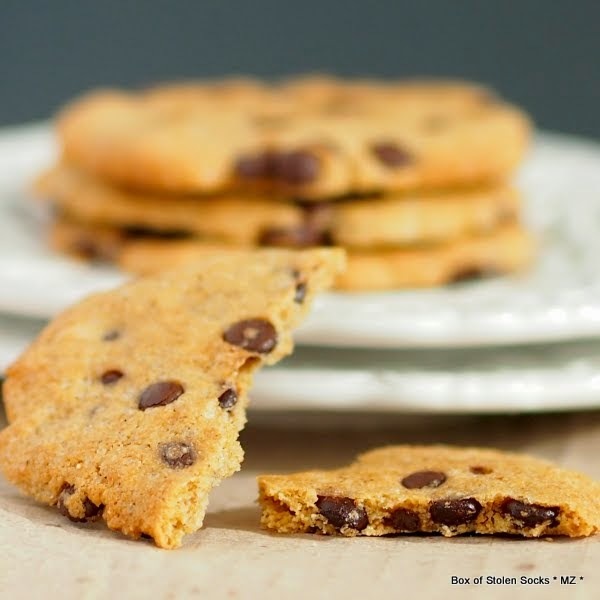 Roben says that this step is critical for making cookies that are moist and last longer. Combine the coconut oil, butter and the sugar in a medium bowl and beat well. Add the sorghum flour and beat very well for at least 5 minutes. Add all the remaining ingredients and beat again. Make sure to scrape down the sides of the bowl and mix again. Gently, stir in the chocolate chips. The dough will be soft. Drop rounded teaspoonfuls of the dough (it is quite sticky don't worry) onto your prepared tray. Wet your fingertips and press the cookies to 0.5cm/0.25inch thickness. I found that the thinner I made the cookies the crispier they became.